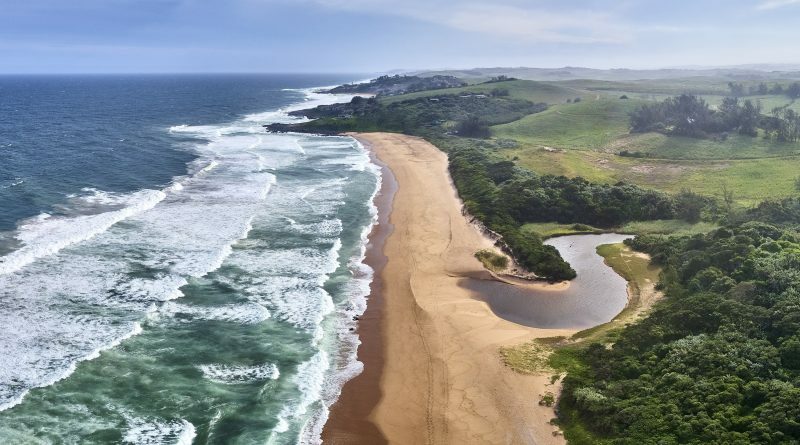 Tinley – a secluded coastal town on KwaZulu-Natal’s North Coast about ten kilometres north of boomtown Ballito – is poised to take on the mantle as the province’s next tourism and property hotspot. 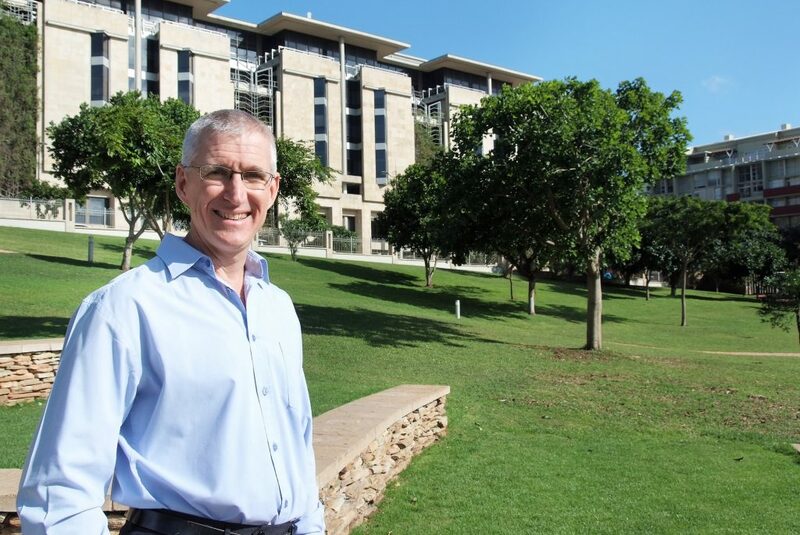 That’s the word from JSE-listed sugar agro-processing and property group – Tongaat Hulett – which is finalising plans around its new mixed-used Tinley Town development on a tract of land it owns straddling the Umhlahli River, near Tinley Manor. A major internationally branded beach resort is planned for the new node as an anchor or catalytic project at Tinley, which boasts kilometres of pristine coastline, lagoons, indigenous coastal forest and a key location on KwaZulu-Natal’s primary growth corridor between the ports of Durban and Richards Bay. Tongaat Hulett confirmed in a media release last week that “four significant international resort operators” have expressed interest in operating a new, international beach resort on the site. It follows a story broken in Business Day and Times Select earlier this month that French-based Club Med was one of the luxury international resort operators that had shown interest and was actively being targeted by Tongaat Hulett. It said the resort would be the first of its kind in Southern Africa and that Tinley is one of its northern development initiatives that held significant tourism potential. Together with the proposed new coastal resort, it said the new Tinley development node would cater to the international and domestic tourism markets, and also had the capacity for mixed-use development. Tongaat Hulett added that the EIA process for the resort opportunity was currently underway, with the identification of the international hotel operator soon to be announced. Michael Deighton, Managing Director of Tongaat Hulett Developments. The group said that with the advent of Zimbali Coastal Resort in the late 90s, areas north of Durban including uMhlanga, Ballito and Salt Rock have experienced unprecedented growth in the last three decades with significant return on investment. 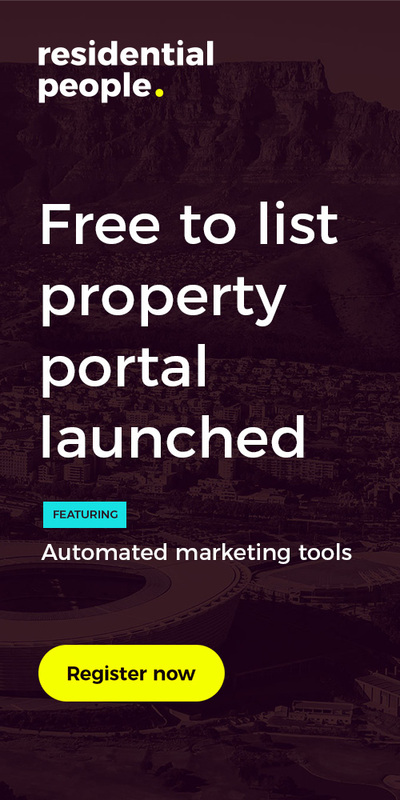 “With the residential and tourist boom and the commissioning of the King Shaka International Airport and Dube TradePort, other sectors are now also thriving. Schools are mushrooming in the region to support the influx of people and the commercial aspects continue a strong upward trajectory especially with the emergence of the nearby Durban Aerotropolis,” it added. Under the guidance of the “Durban Aerotropolis Master Plan” (draft January 2018), Tongaat Hulett said a development framework was being implemented to create a purpose-built city that will enhance urban and national competitiveness through improved multi-modal transport access and planned, coordinated aviation-linked commercial development. This would make the airport, surrounding areas and the entire province more economically efficient, attractive to investors and sustainable. Making the North Coast more accessible, King Shaka International Airport currently can accommodate 7,5 million passengers annually with this figure expected to climb to 45 million passengers per annum by 2066. 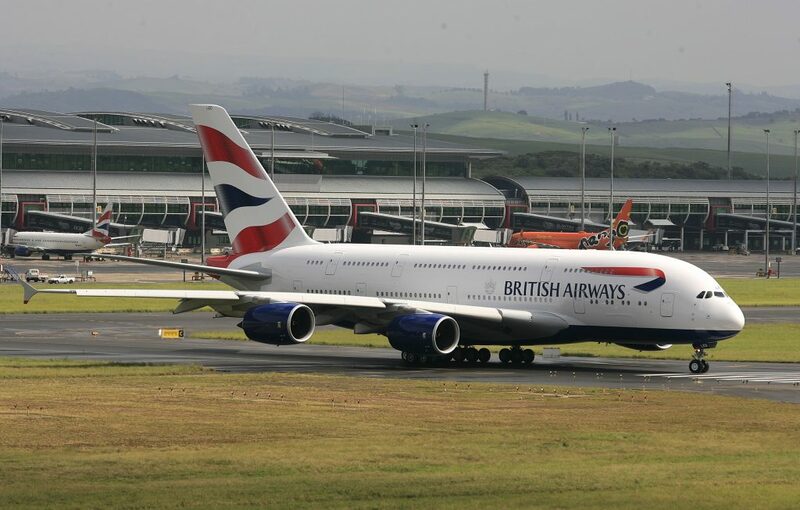 “The introduction of the new direct British Airways route between Durban and Heathrow London has opened the area up to even more international tourist traffic and cemented the province as a world-class destination,” Tongaat Hulett said. The King Shaka International Airport, north of Durban. “Given its connectivity and natural assets, the region is increasingly being identified by global resort and tour operators as South Africa’s foremost opportunity to compete with other global beach resort destinations, provided critical mass can be achieved. Furthermore, varied business interests and top-quality facilities also contribute to KwaZulu-Natal’s tourism offering,” it added. “We just need to look at the numbers to understand how well KwaZulu-Natal is doing. Hotel occupancies have remained above 70 percent with the Average Daily Rate (ADR) growing by eight percent per annum since 2010,” said Deighton. According to Tongaat Hulett, Revenue Per Available Room (REVPAR) in the greater uMhlanga area is R1 274 with the hotel sector forecast to grow by three percent. 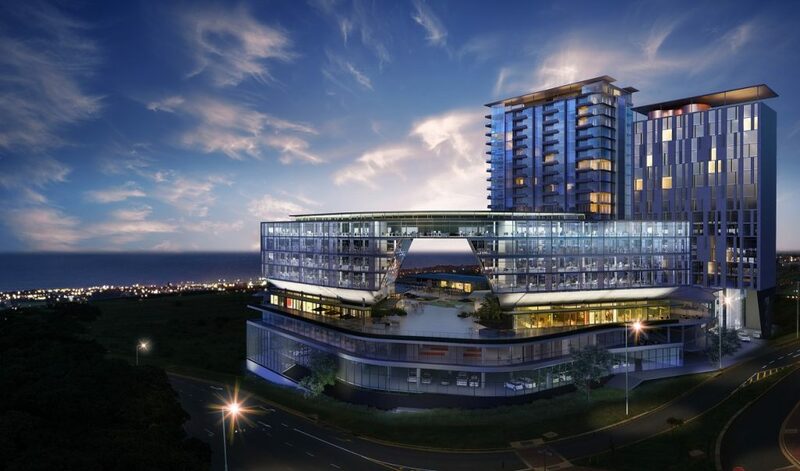 The uMhlanga market is predicted to absorb an increase in hotel inventory over the next five years. An artist’s impression of the Umhlanga Arch development in Ridgeside, which will be home to SA’s first Hilton Garden Inn branded hotel. With hotel occupancies above 70 percent in Umhlanga, Tongaat Hulett says several new hotel developments are planned for the region. Identified as one of KwaZulu-Natal’s catalytic beach resort developments, Tinley Town will be unlocked in collaboration with all stakeholders. The strategic objective is to create enhanced value in the surrounding assets, which will benefit from proximity to and association with the resort and higher pricing premiums as destination value takes hold in the area.